As the demand for food is increasing worldwide, fertilizers are playing an essential role in improving agricultural productivity. OCI Nitrogen (hereinafter OCI) is a leading producer of mineral fertilizers and the world's largest producer of melamine, which is used to make adhesives and resins for a wide range of applications, such as furniture panels, laminate flooring, coatings, paints, and plastics. The company also is a major producer of ammonia, a key ingredient in fertilizer and melamine production. OCI operates ammonia, nitric acid, nitrate, and granulate plants at the Chemelot Industrial Park, which is near the town of Geleen in the Netherlands' Limburg province. This area has long been home to much of the Netherlands' fertilizer and chemical industries, and OCI produces an annual total of 1.45 million tons of fertilizer here. The shipment of this material necessitates the issuance of some 42,000 waybills every year. As the company had been doing this manually and it was a very time consuming process, the company decided to automate this and all other shipment processes, including those for the loading of trucks at the fertilizer plant's shipping terminal. Sitech, a provider of engineering, maintenance, procurement, and project services to several of the chemical companies operating at the Chemelot site, selected Yokogawa to automate these processes. Martien Pijl, a senior project engineer for Sitech, commented as follows: "Yokogawa was selected because they were already a main supplier of the integrated production control and safety systems used at these plants. We asked them to come up with a smart, sustainable, and reliable solution to debottleneck the loading facility. We found them to be an excellent partner because they provide standard, fully integrated solutions that can be used for every loading/unloading and storage process and be tailored to any requirement. Furthermore, they have deep expertise in shipping terminal operations." The main objective of the automation project was to change to an environment in which terminal automation, production automation, and the enterprise resource planning (ERP) system form a seamless whole. "That appeared to be highly feasible with Yokogawa's solutions and services," said Mr. Pijl. "Yokogawa supplied OCI a state-of-the-art and fully-automatic terminal automation system (TAS) solution, based on its Terminal Logistic Suite VP. This terminal automation has had many positive effects. For instance, we can complete 25% more loading actions per day, and operators make fewer input errors. Also, management has gained deeper insights into these processes." An intensive collaboration between OCI, Sitech, and Yokogawa started at a very early stage, resulting in a very positive project outcome. "A conscious decision," said Mr. Pijl. "Practical experience teaches us that companies that are involved in the early stages of a project are better able to formulate the specifications for the project. That's the case here too." As a result, this project could be completed on budget and on time, in just eight months. The collaboration between Yokogawa, OCI, and Sitech continues even after the delivery of this project. 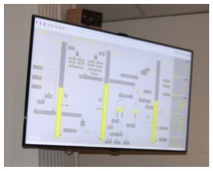 In the event of a malfunction, service engineers at Yokogawa's office in Amersfoort can remotely access the system to perform troubleshooting. This service is helping to guarantee extreme high availability for many years to come. Terminal Logistic Suite VP is a true level 3 (production / MES layer) solution. Modular in design, it has been developed for the automation of operations at terminals where oil, gas, LNG, LPG, chemicals/petrochemicals, and other materials are loaded on/unloaded from trucks, trains, and ships. In addition to having a direct link to the operating environment and an ERP interface with the office environment, it has separate modules for loading/unloading, blending, movement operations, path generation, jetty scheduling, nomination, data management, inventory management, order management, security control and audit trail, system maintenance, stock control, and reporting. OCI's Terminal Logistic Suite VP has an interface to the ERP system for the automatic processing and monitoring of orders, the performance of related administrative tasks, and the creation of all necessary documents and waybills. The system automatically validates the order number and information on the vehicle/driver, customer, destination, etc. This data is automatically backed up for added security. At OCI, Terminal Logistic Suite VP is also linked to Yokogawa's STARDOM network-based control system to accurately control the loading/unloading process. Amongst other functions, STARDOM controls the transfer of "Nutramon" (an OCI brand name) calcium ammonium nitrate from the storage bunkers to the loading stations by operating specific conveyor belts. Furthermore, STARDOM interfaces with the weighing system, the remote loading panels, traffic lights, and multi-color scoreboards in each loading bay that inform the truck drivers about bay assignments, loading progress, etc. 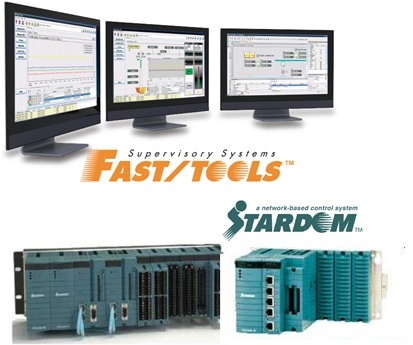 Yokogawa's FAST/TOOLS supervisory control and data acquisition package was installed for the monitoring and manual operation of the loading facility. All data on loading operations is displayed in a well organized, clearly understandable format on a single large screen so that operators can monitor the entire process. ordered weight, loading progress, etc. The TAS implementation has brought several positive effects such as 25% more loading actions per day, fewer input errors by operators, completely automated administration, and clear reporting to management. Moreover, truck drivers who drive back and forth to the harbor every day no longer need to get out of their trucks. 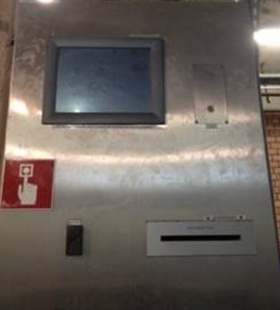 They only need to hold an identification badge in front of the loading panel's card reader to start the automatic loading process. In addition, the TAS provides many supplementary capabilities. A large variety of data is configured and verified for various purposes. 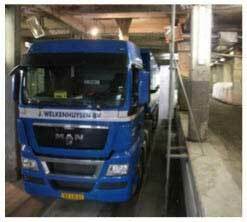 For instance, when drivers enter their final destination on the loading panel's touch screen, the maximum allowable load is determined automatically, fully in accordance with the ADR guidelines which are applicable throughout Europe. This is a standard feature with Terminal Logistic Suite VP and it ensures that end-users, producers, and truck drivers do not need to worry about the prospect of being fined for exceeding weight limits. All bays are furnished with a loading panel which is equipped with a touchscreen, intercom, barcode reader, card reader and emergency button. The truck drivers do not need to get out of their trucks anymore. 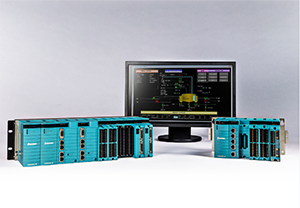 All components are integrated into Yokogawa's terminal automation system. 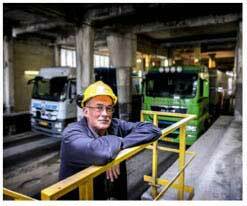 Rien Kloet, head of logistics at OCI, said, "As result of the reduction of all the manual paperwork, our employees are now able to be more closely engaged in harmonizing supply with demand. In our field, it is truly unique to have a fully automated central control room where there is no need for human intervention." Mr. Pijl added, "Automation of these types of processes requires an automation vendor with very specific knowledge. With its execution of such complex projects, Yokogawa has proven to be a very reliable and skilled partner." Today, many end-users in the oil, gas, LNG, LPG, chemical/petrochemical and bulk industry face (amongst others) the following logistical challenges: quicker product delivery process, improving loading efficiency, flexibility to change, improving safety, increase efficiency administrative work, cost reduction of personnel, data integration (close the gap), visualization of operation, traffic management, etc. Terminal Logistic Suite VP has been developed to overcome these challenges. The enhanced features of Terminal Logic Suite VP, in combination with Yokogawa's dedication and terminal specific knowhow, will deliver profits to the customer's bottom line. With Terminal Logic Suite VP typically a return of investment (ROI) can be achieved in less than a year.